Feeling simply organic today? 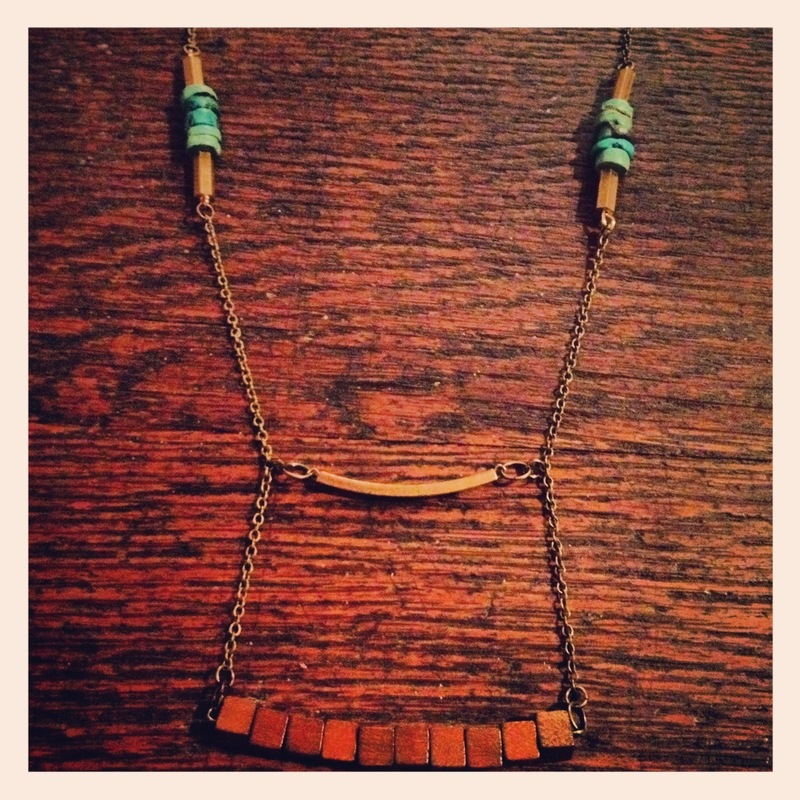 Saint Clair Jewelry designer shows off the design elements behind the Wood & Turquoise necklace and Turquoise drop earrings. 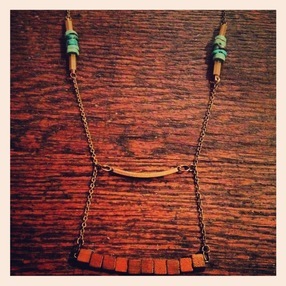 Check out the Wood & Turquoise Necklace! This 2 tiered rustic necklace is made of square wooden beads, recycled industrial brass, and raw turquoise discs and supported by brass chain.